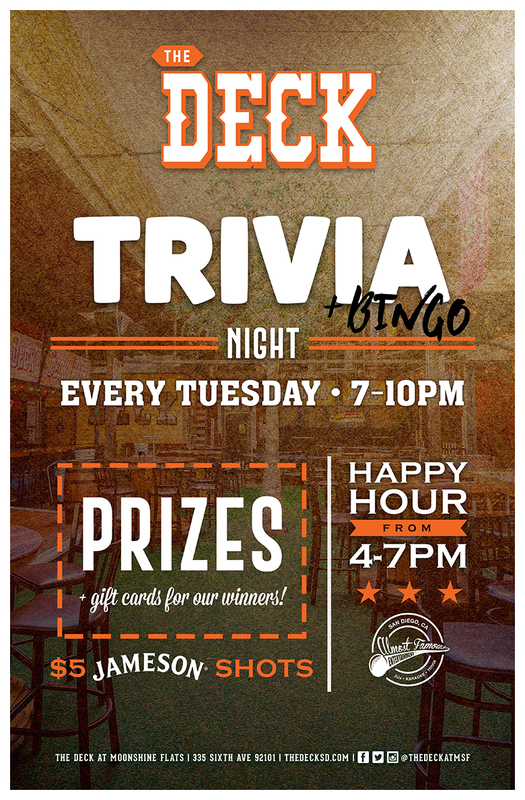 Put your smarty pants on for Trivia Night and BINGO every Tuesday at for your chance to win awesome PRIZES at The Deck! Get to drinking for your thinking! Sip on $5 Happy Hour Specials from 4pm to 7pm and $5 Jameson ALL NIGHT long. Fun starts at 7PM!